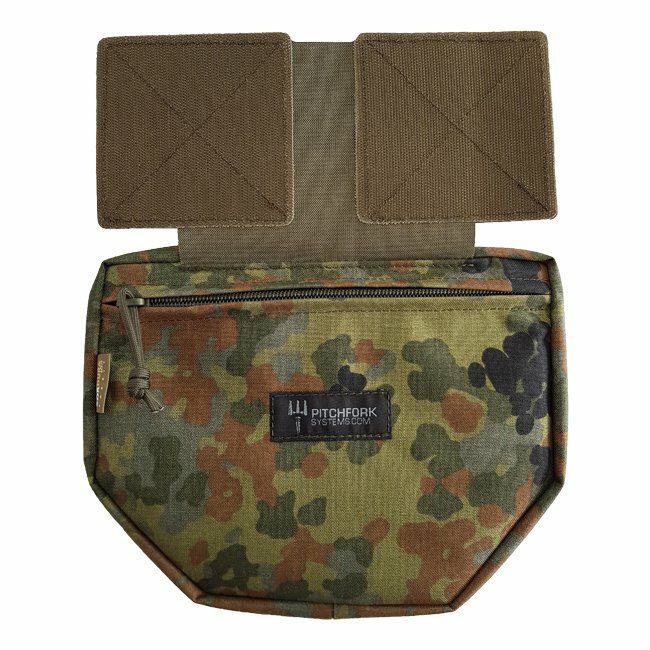 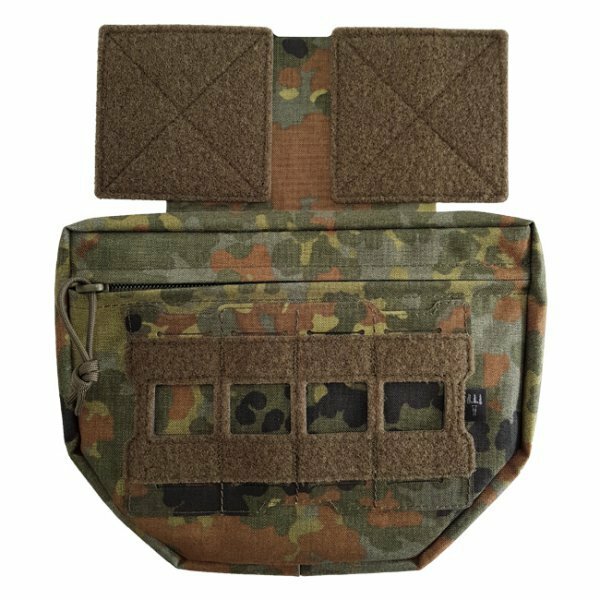 The Drop Fanny Protector Pouch can be attached to a variety of vests, plate carriers and chest rigs through the universal velcro surfaces. 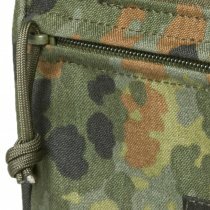 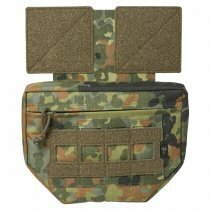 The front pocket has velcro on the inside to allow additional accessories such as small material organisers or a holster to be installed. 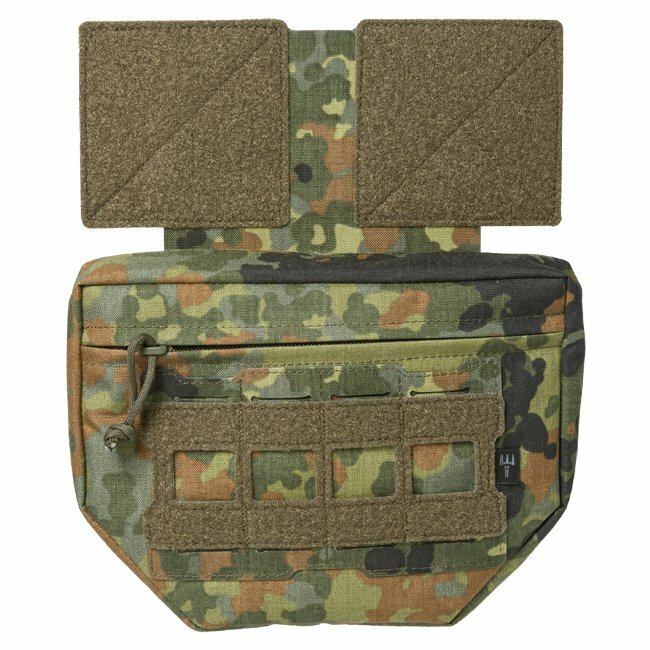 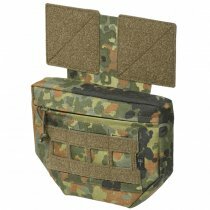 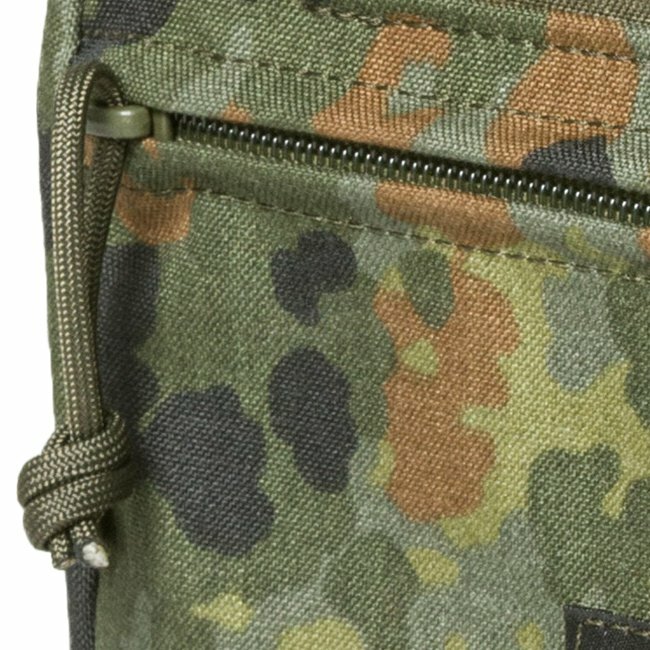 The laser-cut MOLLE loops on the front are used for mounting additional pouches, which is especially interesting if the Drop Fanny Protector Pouch is not accessible, for example due to protruding magazine pouches on the plate carrier. 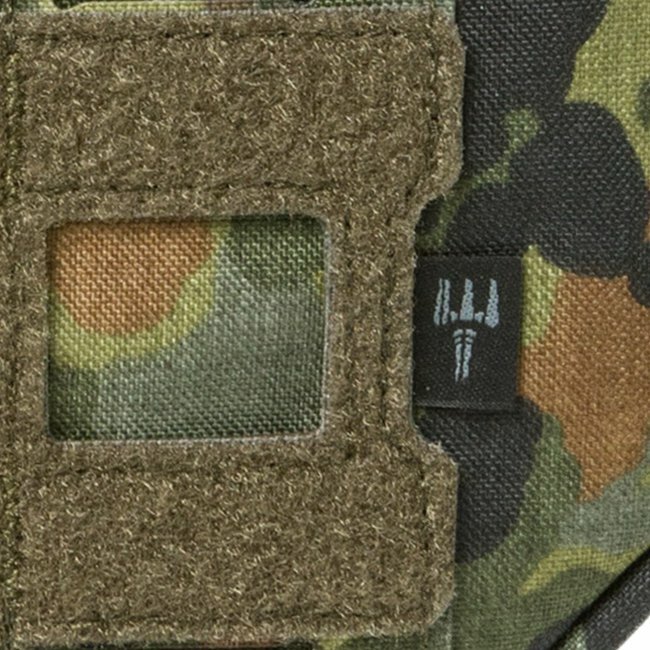 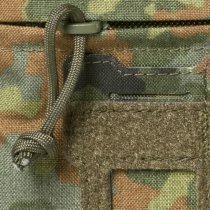 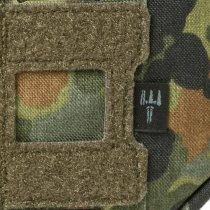 However, the MOLLE loops also have a velcro surface for mounting ID patches. 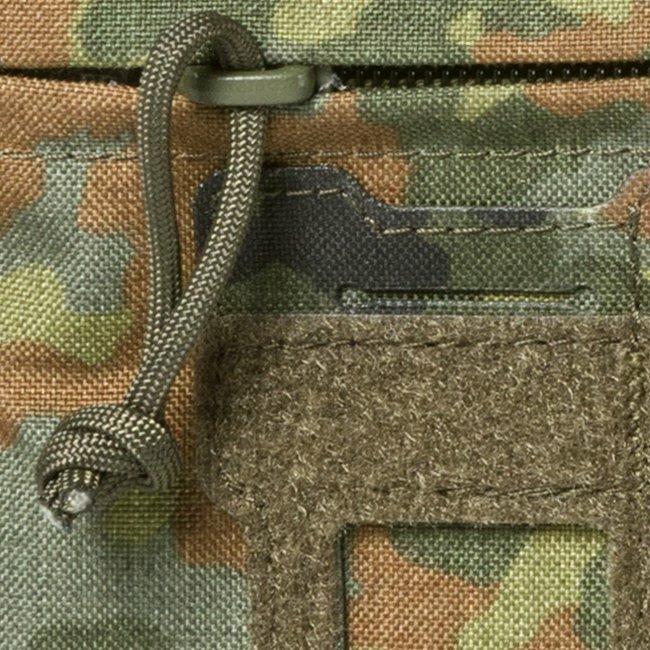 In addition, since the middle webs are not sewn together with the pouch, a tourniquet holder can be looped and held in place safely. 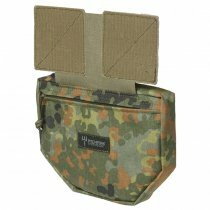 To complete the various features the body-facing compartment can hold a Level IIIA Soft Armor panel, making the Pitchfork Drop Fanny Protector Pouch the perfect complement to any vest.